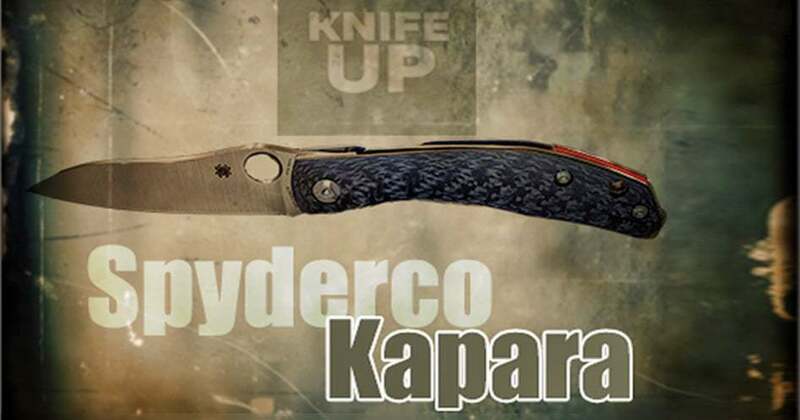 2018 has been filled with lots of activity in the knife industry, and one of the events is the release of Spyderco’s newest models called the Kapara. A part-time knifemaker from Australia has recently caught the attention of Spyderco execs and as a result, knifemaker Alistair Phillips is Spyderco’s newest collaborator/designer. A full member of the Australian Knifemakers Guild, one of Phillips’ proudest moments was winning the award for the Best Folding Knife at the 2012 Australian Guild show with a stag-handled three-bladed stockman folder. Phillips has been making knives for some time and one of his popular designs is the “Redback Folder”. The name is based on the Redback spider which is one bad girl!! It’s a very venomous spider found not only in Australia but also in New Zealand and parts of South Asia. Because the female Redback has a prominent red stripe on the side of her body, Phillips handmade Redback include a red backspacer in the handle. Phillips makes mostly handcrafted slip joint and lock blade folding knives. To make his knives, he licensed Spyderco’s Trademark Round Hole and designed several knives. 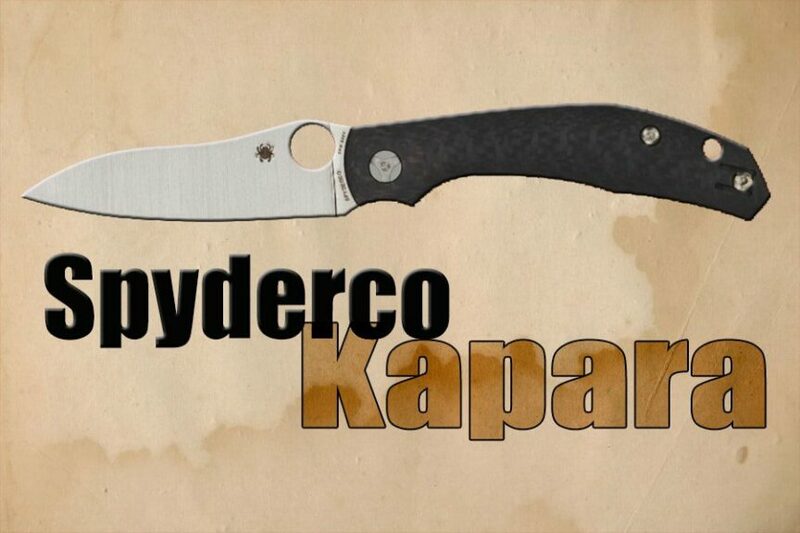 He posted several of his creations to Spyderco’s website and “Voila” – he got some attention! Sal Glesser (the founder of Spyderco) like what he saw and he even went so far as to buy one of Phillips’ Redback knives for his own collection. After checking it out in more detail, Glesser suggested liked it even more and promptly suggested a partnership with Phillips on a knife or two, and Phillips heartily agreed! 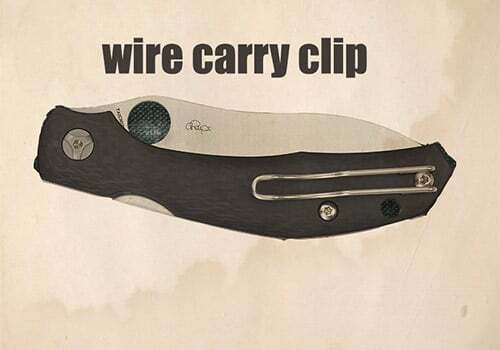 It sounds a bit odd, but here’s the story according to Phillips; He originally made the Redback (and also the later Kapara) as a personal EDC knife that could be used for food prep in a very domestic environment like an office! After realizing he was carrying a bit more of a spare tire than he would like, Alistair committed to eating healthier and losing weight. 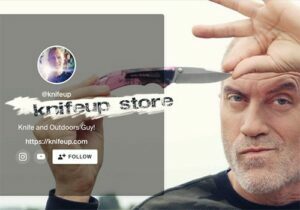 To that end, he was inspired to create a knife that would help him achieve that goal to an extent (but I suspect he made the knife because he just really likes designing knives). Before designing the Kapara, he used a number of his existing folders for cutting fruits and realized that the flipper studs got in the way. So, he started from scratch! He actually measured the size of various fruits and vegetables, and it’s those measurements that would be a large factor in determining the blade length he was looking for. He needed not only no thumb studs, but also a longer blade. That’s really what the Kapara is. No studs and long blade. Done! The Kapara is made from CPM S30V steel which runs about a 59-60 HRC (Rockwell hardness scale). This is quite hard considering it’s a stainless steel. 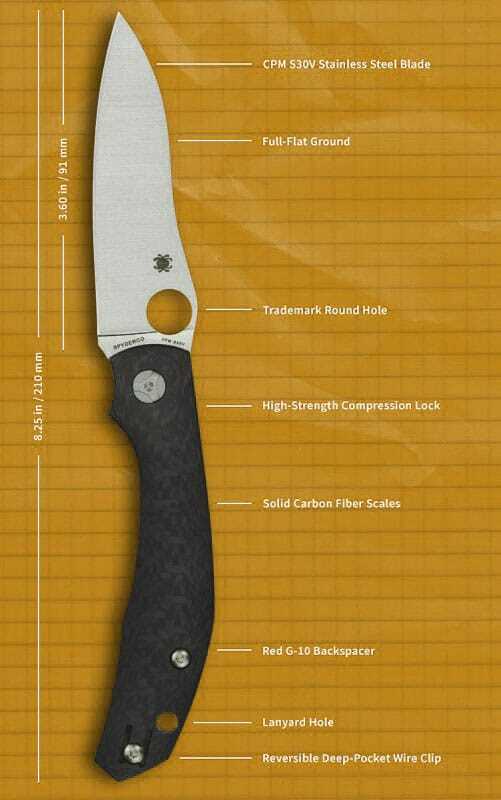 It features a full or flat grind blade design and it utilizes (of course) Spyderco’s round hole. The drop point profile helps extend the overall length of the blade. There’s no gimping at all, but that’s no skin off my back because I’ve never seen gimping as a crucial part of knife construction. 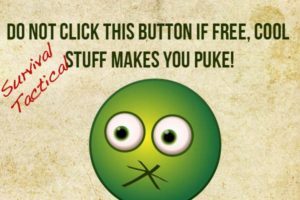 Don’t freak! That’s my opinion only! The handle sports a full, stainless steel, skeletonized liner set which is foundational to the seriously effective Compression Lock mechanism. The liners are capped with very good-looking solid carbon fiber scales which are 3-D machined. This detail complements the handle profile which itself is really comfortable. It does have a finger choil for your index finger near the blade, and while it’s comfortable, it’s awfully close to the cutting edge of the blade, so caution is in order here. 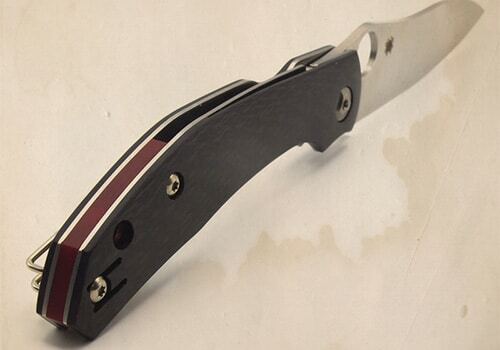 We love the handle and especially the backspacer which features a chunk of red G-10 to live up to the namesake of the Redback designs that gained recognition for the designer in the first place! Most of the handle is left open to reduce weight. A lanyard hole allows for attachment of whatever you like. The Kapara features a reversible deep-pocket wire clip and it’s configured for left or right-hand carry but only tip-up. The clip is quite effective, however, it’s not exactly gorgeous from a design/aesthetic point of view. I think weight was a consideration, so I’ll go with that. The ergonomic and stylish Kapara knife design from Alistair Phillips was revealed at Spyderco’s 2018 Amsterdam Meet. Phillips is known for his, slim pocket-friendly designs and the Kapara certainly fits the bill. 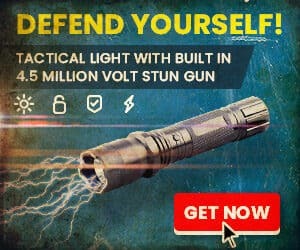 It features a slender carbon fiber handle outfitted with a red G-10 backspacer and a reversible tip-up wire pocket clip. Overall it’s a comfortable knife with a relatively comfortable pocket “feel”. While not in the super high-end price range (given the stainless steel blade price) it’s not the cheapest of its kind. Let’s just say it’s under $200. 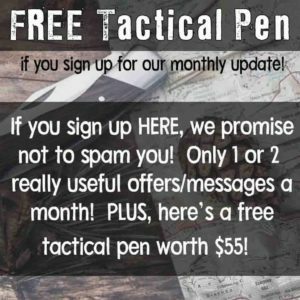 It’s not a bad deal, and we’d classify it as a buy for those looking for the features outlined in this article.